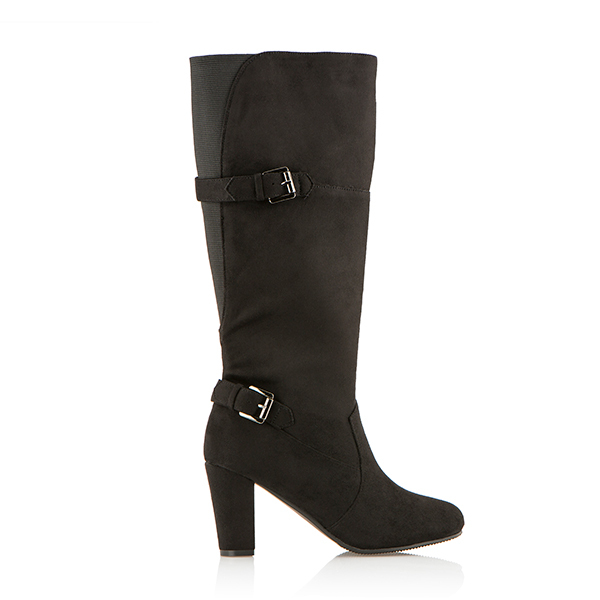 Make an impression with this ultra-fashionable pair of tall knee-high buckle boots. Designed with two buckle straps, suedette material and a block heel, these boots are just as perfect for everyday wear, as they are for smart evening occasions. A memory foam insole and flexible, lightweight build ensures total comfort whilst a durable sole and slip-resistance makes this pair the best choice for your seasonal wardrobe. Cushion Walk designs provide supreme comfort and range from stylish calf and ankle boots to seasonal wedge sandals and occasion wear, offering something for every woman. Since its establishment in 1985, Cushion Walk have evolved into a leading comfort footwear brand, dedicated to providing outstanding quality and value. Every pair of shoes are produced with customer needs in mind, from contemporary styling to everyday comfort using modern technologies.